How would you like your new brochure delivered? Is there a specific package you are interested in? I am an AARP Member. This brochure represents a sample of popular train vacations throughout the USA, Canada, and Europe. 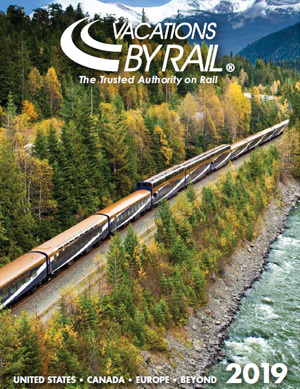 To view our complete product line featuring hundreds of train vacations to destinations around the globe, visit www.vacationsbyrail.com. We look forward to you traveling with us! Thank you for requesting a Vacations By Rail brochure. You can expect to receive your copy in the mail in the coming days. 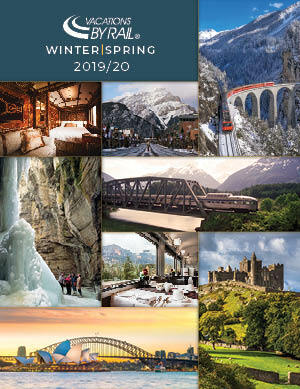 Browse our complete collection of train vacations to destinations around the globe at www.vacationsbyrail.com.